All 50 states and 81 countries are represented in the Marathon field. 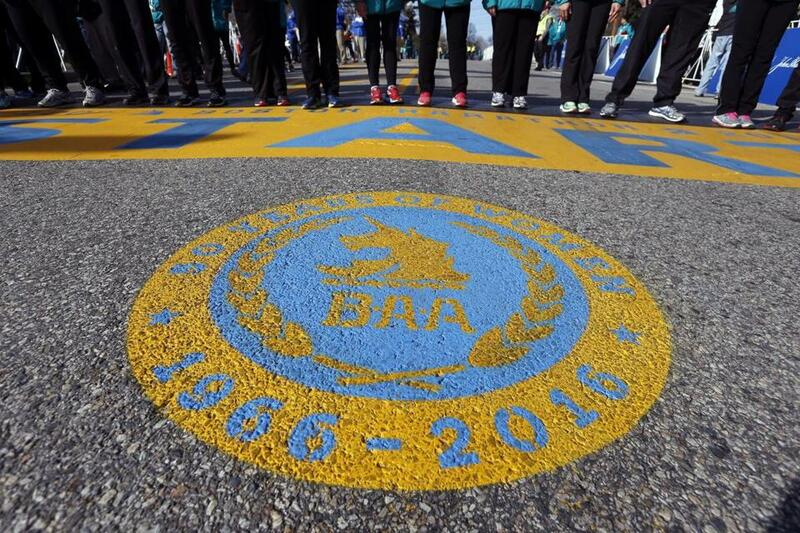 More than 30,000 runners will descend on Boston over the next several days as the 120th Boston Marathon nears. Some are traveling more than 11,000 miles to make the famed 26.2-mile run from Hopkinton into the heart of the city. Others will take a short drive to get to the starting line. With all 50 states and 81 countries represented, we wanted to sift through the Boston Athletic Association’s database of entrants to take a closer look at the demographics of this year’s marathon field. Of the 30,656 runners in the field, 54.1 percent are men and 45.9 percent are women. If there’s a drone in the sky at this year’s Boston Marathon, these guys will know about it. Of the more than 16,000 men competing, the oldest is an 84-year-old from Medford, N.Y. The oldest woman? Not far behind. She’s an 83-year-old from Santa Cruz, Calif. The average age of the men’s field is four years older than the women’s. The age bracket with the most competitors? Forty-five to 54 years old. Though there are about 2,500 more men than women running in this year’s race, the gender totals don’t tell the whole story. From ages 18 to 34, there are 1,365 more women and men. But from ages 35 to 84, men far out number women, 8,859 to 5,002. Outside of the US, 80 other countries are represented. Canada has the second-most runners competing with 2,403. Twelve countries are represented by at least one runner: Albania, Andorra, Bangladesh, Falkland Islands, Jamaica, Jordan, Nigeria, Romania, Uganda, British Virgin Islands, Vietnam, and Zimbabwe. Nine countries had at least 100 runners qualify. Australia claims not only 179 competitors, but also 15 who will travel more than 11,000 miles to get to Boston for the race. Little has changed on the popular name front from two years ago: Michael and Jennifer still reign. This year, the average age of the Michaels is five years older than the Jennifers, about on par with the difference between average age of the men’s and women’s fields. On the men’s and women’s sides, there are 106 names that have at least 30 runners competing. Rachel G. Bowers can be reached at rachel.bowers@globe.com. Follow her on Twitter @RachelGBowers. Matt Rocheleau can be reached at matthew.rocheleau@globe.com. Follow him on Twitter @mrochele.